Laser CO2 Smaxel is equipped with 2 modules: CO2 module and a fractional one. The mechanism of its work depends on the emission of light of 1550 nm length, whose energy is absorbed by water present in cells of epidermis and dermis. CO2 module enables vaporizing various changes. The treatment is bloodless and does not cause thermic damage of surrounding tissues, thanks to which the risk of scar appearance is minimized. Fractional module, thanks to a special head, creates a stream of impulses of microscopic diameter, evenly scattered on the surface of skin. Thousands of microscopic damages appear as a result of the treatment. They are surrounded by fragments of healthy, undamaged tissue, what as a result makes convalescence time much shorter. Stimulation of repair processes and increased production of collagen occur in the place of skin damage caused by a laser beam which as a result leads to skin regeneration and improvement of its look. After earlier skin cleansing with the use of laser beam, the changes are vaporized. After earlier skin cleansing a special scanner, which causes microscopic skin damage, is affixed. The sensation during the treatment can be compared to the one of sticking thousands needles. In the place of the treatment there appears eschar which shall be left until it falls away by itself. The state of skin irritation is very individual. Directly after the treatment the skin is strongly red (as if burnt) and there appears a local swelling. Such a state lasts for 2-3 days. Then, in the place of the treatment there appears skin bronzing and later small flaky desquamation. A complete effect of the treatment is visible after 4-5 weeks. In order to get optimal effect, depending on the level of the problem’s intensity, it is recommended to undergo 3-5 treatments with the breaks of 3-6 weeks. 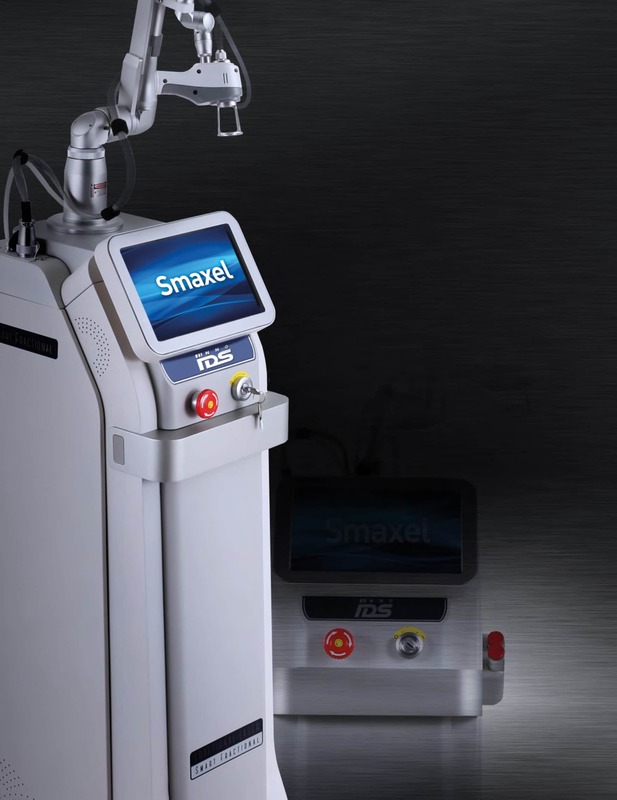 Additionally, after the Smaxel CO2 treatment in order to speed up convalescence time it is recommended to apply platelet-rich plasma on the area subjected to the treatment. Anaesthesia: Local anaesthesia (anaesthetic cream e.g. Emla) is recommended due to rather high painfulness of the treatment. Additionally, to every treatment – platelet-rich plasma for 250 PLN.